9 rooms of between 320 ft2 and 430 ft2 in size, a space to enjoy with family or friends. 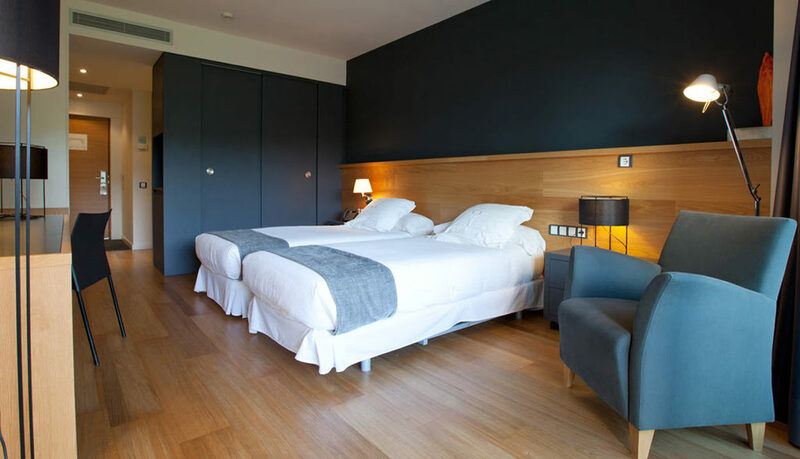 The room includes a King-size bed or two twin beds and an extra bed. The room has a terrace of 50 ft2 in size with views of the monastery and the garden. Hairdryer and amenities included. LCD TV equipment with access to satellite programming and Canal + league. High Speed Internet. Room Service from 1pm to 10:30 pm.